An homage to rock! 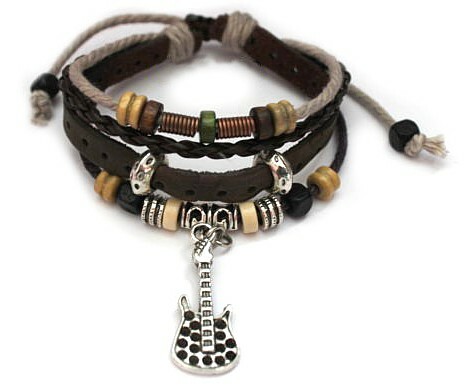 Mega mix of colours and textures with wooden beads, metal, stones and an electric guitar. Unusual design. Great gift. Fits virtually all wrists.